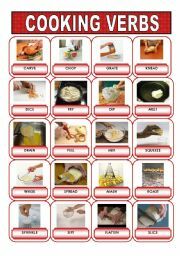 A pictionary on common verbs used when cooking. Hope it´s useful! 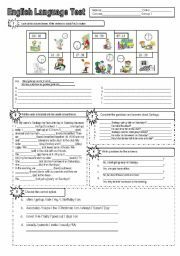 A test on the present continuous tense and the present simple. You can use it to practise both tenses, too. I took the picture from Life Lines Elementary Photocopiable materials (Tom Hutchinson). Hope it´s useful! 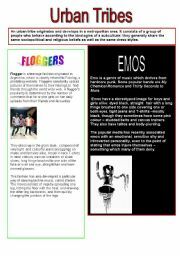 A simple reading comprehension (True/false and quiz) on urban tribes, goths, metalheads, emos and floggers. good to trigger discussion about tolerance and acceptance of others. I took the information from Wikipedia and adapted it. Hope U like it and find it useful. I prepared this two-page pictionary for my construction students. 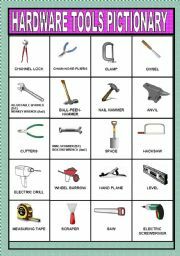 I teach in a technical school, but it might be useful for you, too. Simple present and present continuous in context. 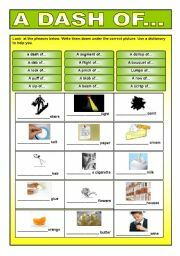 My Ss find it so difficult to decide when to use the PC or the SP tenses. That´s why _I prepared this ws. Explanation on the uses of both tenses and common expressions which accompany them. Exercises plus key. hope it´s useful for you, too! 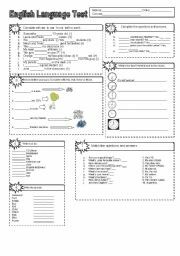 I prepared this test for my Ss. but it could also be useful as a practical work. (On the first exercise Ss must write the time either in digital or analogical waya according to the clocks in the pictures). Hope it´s useful! 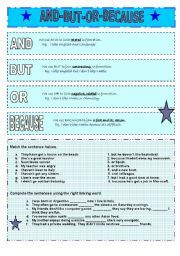 Grammar explanation plus exercises to work on the structure of the past of be. 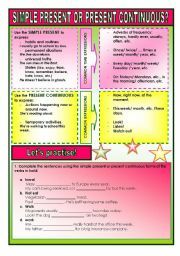 A note on how to use AND, BUT,OR and BECAUSE plus two activities, matching sentence halves and a fill-in-the-blanks exercise. 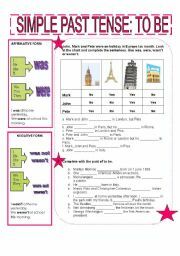 I made this test to evaluate the use of the verb to be, personal questions, the time, demosntrative pronouns, the use of the indefinite article and regular and irregular plurals. Hope it´s useful for you, too!